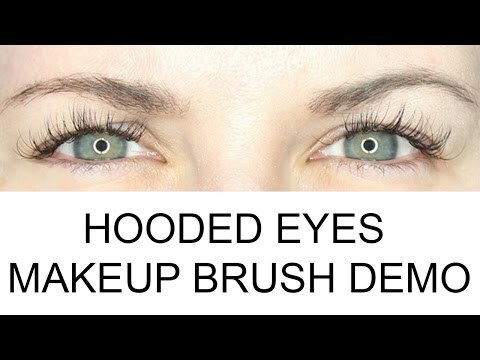 Today I’ve got a what are hooded eyes makeup brush demo to share with you. I explain what a hooded eye is and the anatomy of the hooded eye. I talk about the makeup brushes I like to use for applying and blending eyeshadow. I show how to do simple color placement. I share a lot of my tips and tricks in this. I have a separate, shorter video that is just brushes without the tutorial information if you want that. All of the brushes I use are cruelty free and vegan with the exception of the goss brush. I recommend the Urban Decay, Sigma, Real Techniques, Makeup Geek and Kat Von D brushes. This is the BEST brush for applying winged eyeliner or eyeliner close to the lash line because it’s so small and precise. Watch my quick Makeup Brushes for Hooded Eyes video! 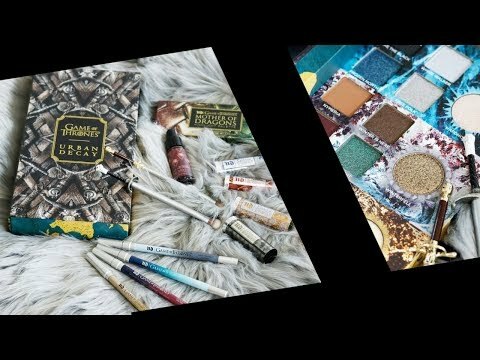 Just in case you missed it, check out best eyeshadow palettes for hooded eyes! 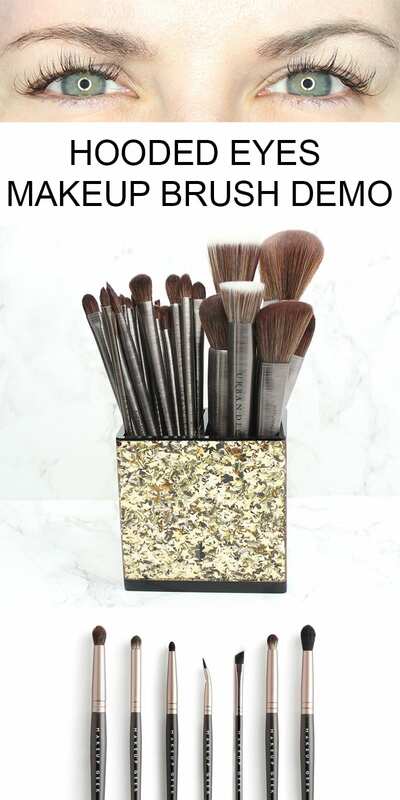 What are your must-have makeup brushes? Have you tried Furless brushes? Furless is a totally vegan and cruelty free company, based in Australia but now with a US online store. Their brushes are really brilliant, and by and large the best I’ve found. That said, no company ever seems to have everything we need, and I do like the look of the Sigma E21. So I did try the Furless brushes. I don’t know if I got a bad set or what, but they fell apart on me. Like the brush handles fell off the ferrule. So I didn’t feel compelled to repurchase. I’ve had better luck with my Sigma, Makeup Geek and Urban Decay. Phyrra, thanks for the hooded eye help! I’ve always struggled but now I’m 46 gravity is making my hooded issues worse so I can use all your great tips. I really love my IT Cosmetics brushes for being cruelty free and as soft as a kitten’s tummy. I just wish they had more eye brushes to offer. In the meantime I’ll check out some of your recommendations. Thanks again, I’ve subscribed to you on Pinterest so I won’t miss any of your posts. I love the dome shape of the tapered blending from UD, -I find a dome shape to be really helpful too, this is an AMAZING tutorial, even if you don’t have hooded eyes, I wouldn’t say mine are hooded, but I ton have a ton ton of lid space, what my favorite part is how you show how you how to use the brush for the inner liner-and just how you show how important it is to go in from the outer way in when you are doing the outer crease-like you said a c or a v, and with having the right brushes for your eye shape you can do it softly and slowly(I loved the blending techniques you showed as well!) like you were saying, I wish like applying the darker shades outer in, laying down the base, how to use the brush strokes, I also wish I had known that years ago! Because I would end up with color way too high up towards my browbone, some people I find like to have darker shades up higher than I do, personal preference-but I prefer the transitional shades(like Melt’s Blur) because it really adds definition. KVD Metal Matte is an awesome palette for everyone, and I see how great it is for hooded eyes now especially:) And you have taught me a lot about color placement with textured shades, and you can use any kind of shade you want, it’s just that with certain ones you want to tap/pat and totally, shadow primer-I don’t remember when I first started using it-but I remember before it was well known(probably MUAs knew about it) but one of my best friends who is a beauty lover like me and does pt work as an MUA-she was the first one to teach me about priming my eyes, that was in my first year of college, I’ll show my age-1999/2000 but I remember distinctly we didn’t have it-but she would use a matte foundation:) And now with Pixy Epoxy/Glitter Glue I bought that RT set on Amazon plus the pink set for my other friend starting with makeup, I taught her some of your suggestions for hooded eyes, so she will love this tutorial too! Love love ur tutorials for hooded eyes. I appreciate ur devotion to help those of us that have to deal with them. I also appreciate the fact u agree to be able to use shimmers or more sparkly shades on the mobile lid. I was so sad when all I heard was use mattes only or those that don’t really sparkle. It was no FUN. I understand where we should but want to have some of those pretty ones also. Also heard Wayne Goss say age doesn’t matter either. I’m late 40s and to be just learning about how to do makeup right. Want to be able to have fun. I get not to go crazy either. The brushes r so key. Thanks for explaining all about them. Can’t say THANKS enough. Keep me coming.